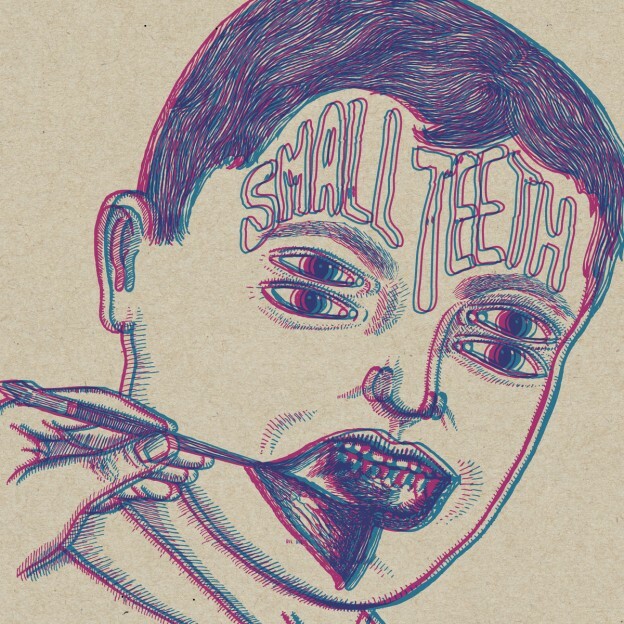 If you haven’t yet heard Small Teeth, you should. The four piece band from Montreal perfectly blends together grinding distortion and reverb-drenched melodies with their psychedelic garage-rock inspired debut album. From the thundering kick at the start of “Dishwashers” to the triumphant marching band-esque rhythms of “Murder House”, Small Teeth proves that they are a band to be reckoned with. The album is packed with crunchy, catchy guitar riffs from start to finish, mixing brilliantly with Malcolm John Ward Remple‘s entrancing vocal melodies and Reg Kachanoski‘s booming kick drum. Whether you’re into garage rock, punk or psychedelic rock, Small Teeth‘s off-the-cuff, raw rock is sure to catch your attention. Don’t miss out on the bands debut self-titled album rocking the airwaves on 90.3FM CKUT. This entry was posted in CKUT programming and tagged album review, small teeth on August 7, 2014 by librarian.